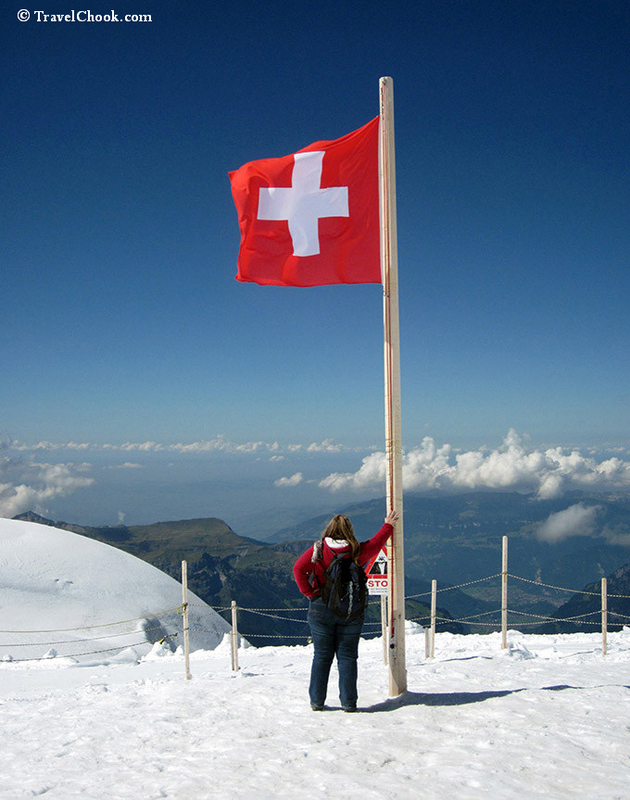 To go or not to go to the top of Europe – Jungfraujoch? Let me try and help you decide. 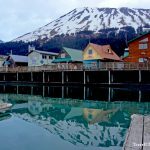 It’s not a cheap excursion, so I can understand why so many mull over this decision – I know I certainly did! 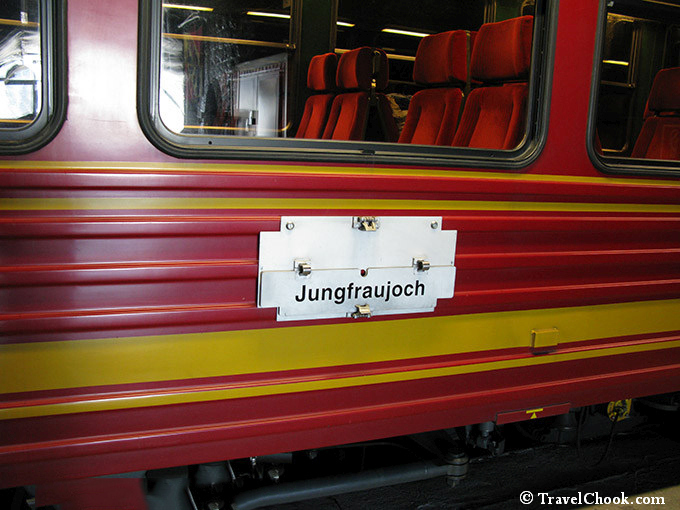 In fact, I’d originally decided not to do the Jungfraujoch train, even though I was staying nearby in Grindelwald. But I was so close after doing a gorgeous hike to Kleine Scheidegg, so I figured it would be just crazy not to jump on the train. Fortunately for me there were a few tickets still left. 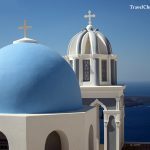 The wait wouldn’t be too long, but the trip would cost me a bucket load – I grimaced and flashed my credit card. I mean, why have a credit card if you can’t use it right? 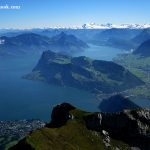 After a short wait and indulging in a delicious hot chocolate while staring at the dreamy Swiss Alps and a loose goat skirting through tourists, it was time to go to the top of Europe. The Jungfraujoch train is very nice and comfortable, a little plusher than I expected. 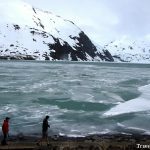 The train goes through a mountain tunnel and has a few short stops along the way up where you can get off to admire the scenery at viewing platforms in the tunnel through windows. The whole journey up to the top takes about fifty minutes – a fun comfortable ride. Jungfraujoch -top of Europe baby! 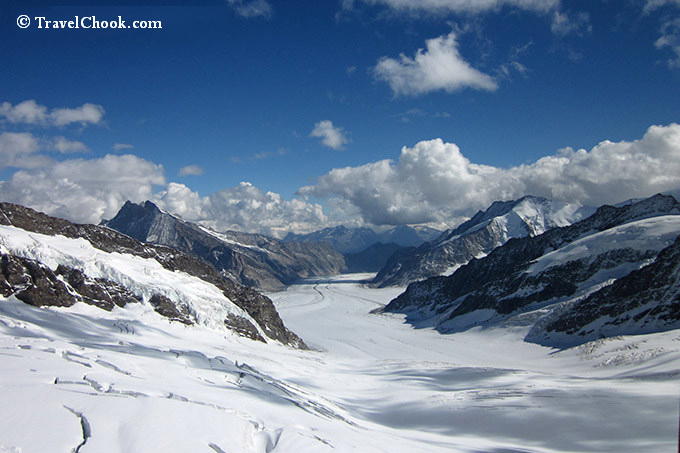 Even if there is no snow anywhere else, there will be snow at Jungfraujoch – beautiful pure white snow. Upon arrival at Jungfraujoch, there are places to eat and quite a few shops to browse and give your card a workout. There are also viewing platforms outside (no windows – yay) to take in the magnificent vistas from all directions. You can also walk directly out onto the snow, which of course I couldn’t resist. It is a surreal feeling being above the clouds. The clouds are so low, or rather, the mountain is so high, the clouds easily create dramatic shadows across the snow. Jungfraujoch in September is really quite lovely to say the least. Although it was a perfect sunny day on my visit, even if the weather is bad at Jungfraujoch, there are still viewing areas indoors, places to dine, shop, and best of all, there is an ice palace to explore. Yes, it is slippery to walk on ice, but that’s why they have a railing to hold. Wearing very warm clothes is essential, as it is chilly in the ice palace. 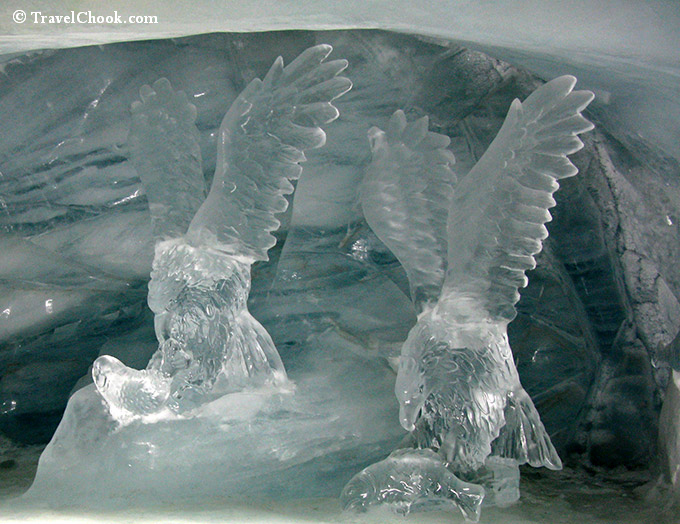 The ice tunnel and sculptures of animals, people and furniture are impressive and loads of fun to walk explore. Outside it was a little warmer, the sky was blue and the shadows across the snow were a sight. The view below really did make me feel I were standing at the top of Europe. It is a magnificent sight. 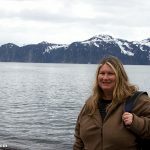 Was going to Jungfraujoch worth it? I’ll tell you that at the end of this post. 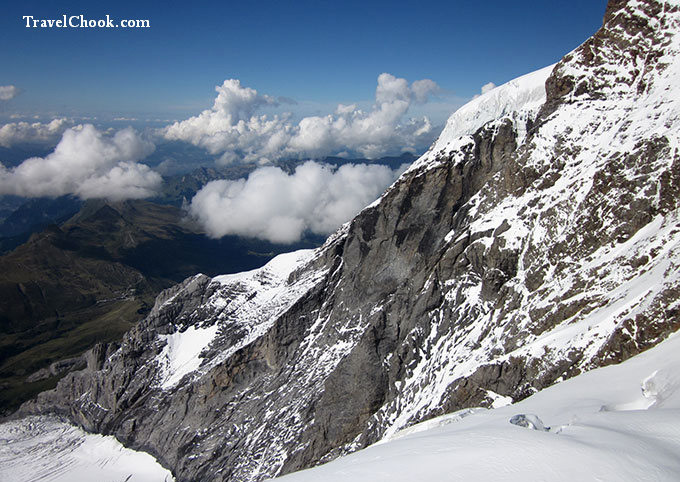 Part of any Jungfraujoch trip is the journey in getting there. 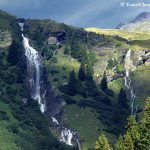 The views around Kleine Scheidegg are like the diamonds and gold of mountains. After heading back down the mountain to the picturesque Kleine Scheidegg, soak in the mountain scenery. That is the beauty of a visit to Jungfraujoch, you are forced to spend time around some of the most beautiful scenery in the Swiss Alps. It is right there on the doorstep of the Jungfrau Rail. The scenery is free and stunning. The walks are easy and breathtaking. The mountain cafe has delicious hot chocolates with scenery from every direction. 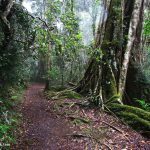 So don’t miss the area itself, especially if you love easy scenic walking trails. Get railway back to Grindelwald after an awesome day! 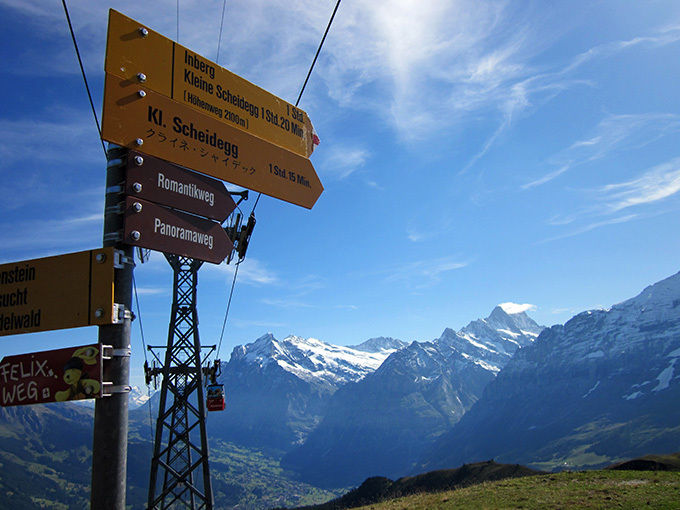 Relax – the panoramaweg hiking trail from Mannlichen to Kleine Scheidegg is relatively flat and wide in many places. I strongly suggest checking the Jungfrau Rail timetables to ensure you get to the train on time. 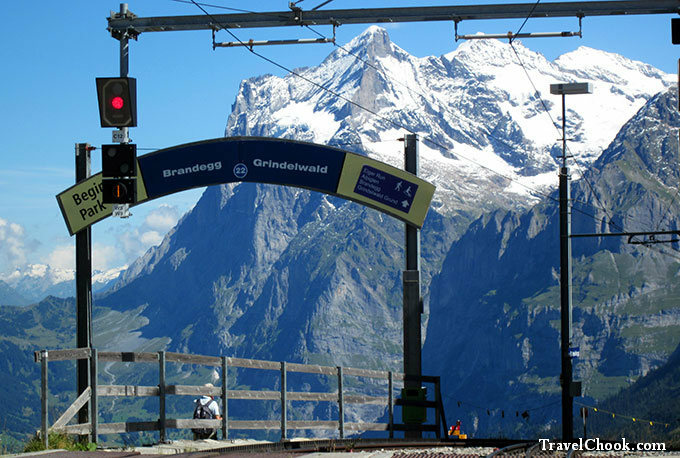 Book Jungfrau Rail ticket in advance if you want to guarantee yourself a spot. Otherwise, take your chances and book on the spot for possibly reduced prices. 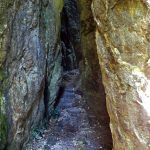 If you don’t make your train, the surrounding area has so many stunning hiking trails, you will still have a day to remember. The entire day, following my one day itinerary is worth it as the Jungfrau region is so scenic. 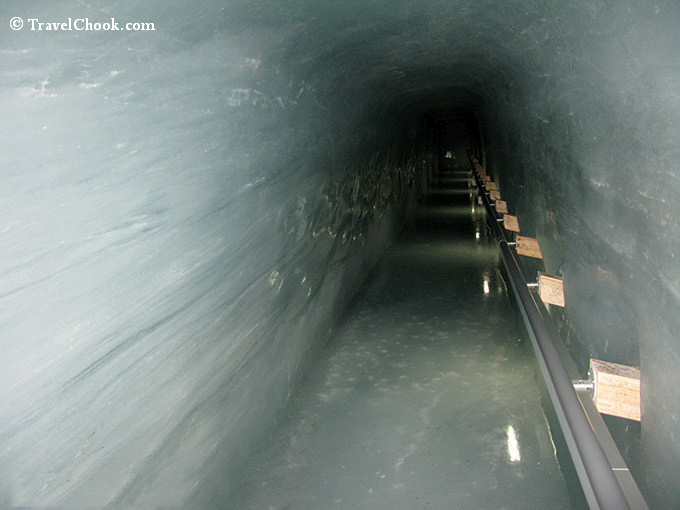 Jungfraujoch itself was very enjoyable as part of the day trip and I am glad I did it. Would I go again? If my budget wasn’t super tight and I was in the area, then yes, I would. 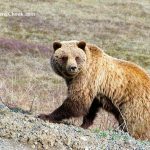 Finally, check out my post titled 3 days in Grindelwald for lots of pictures from the panoramaweg hike from Mannlichen to Kleine Scheidegg and Kleine Scheidegg region. 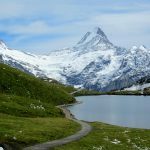 So, do you think Jungfraujoch is worth it?